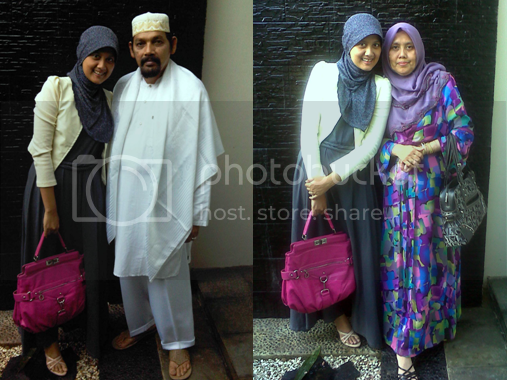 Mrs Delonika: Happy Eid Mubarak 1431 H!! Happy Eid Mubarak 1431 H!! my dad is scary, isn't he? haha. Do I look like my mom a lot? coz many people said that I'm the young version of her. Actually I still have one sister, the youngest who is still in junior high school but she's higher than me..but she never want to get capture by the camera..don't know why because actually she likes to take some picture with her friends. Anyway, by posting this Eid Look in my blog, I'm joining Eid Mubarak 1431 H Quizzes that held by Hijab Scarf *One of My Favorite Hijab Blog*!! Actually they held two quizzes with an interesting prizes. For the second quiz you have to "write or design your Eid Mubarak Greetings". Three winners will get special cookies from Nuna's Koekjes. For more info just read it in on their blog. It will be close on September 20th, 2010. That is a very lovely Eid look! I love your bag, too! Happy Eid Mubarak Fika , i like ur Cottonink's neptune dress , even you wearing hijab , you still look pretty and stylish, Good Job !!! nice look and hot color bag!!! you resemble your mom a lot! 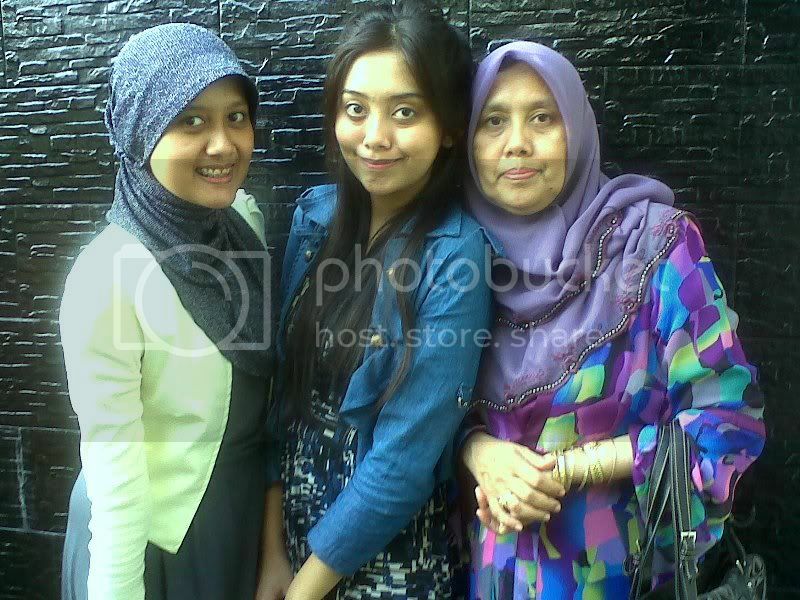 and kak nabila looks like ur dad more! love love love ur cardi so much! hi Fika, minal aidin wal faidzin yaa..
i saw you in hijab community last ramadhan.. you look awesom..
i want to silaturahim and make a friend with u..
ga sabar pengen kumpul hijab community lagi.. :D yey! dress cotton ink kamu bagus n feel comfy ya.. scarfnya juga lucu..